Alter Eco is based on the premise that food is fundamental to life, and whole, healthy food can make life better for people all over the world. The company works directly with small farmers who grown quinoa, rice, sugar and cacao, helping them institute Fair Trade and Organic practices and assisting them in improving both quality of life. This company is amazing and I can tell you that their chocolate is delicious! 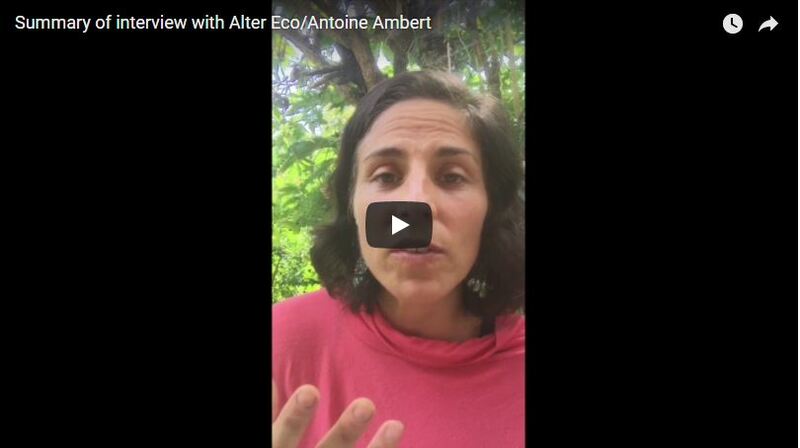 So many people all over the world benefit from Alter Eco’s efforts, as the company focuses on creating systems that benefit the flora, fauna and fields. And another cool thing about Alter Eco – it is a Carbon Zero business, which means that it offsets more carbon than it emits. Antoine Ambert is the Director of Marketing. www.alterecofoods.com.